Lease for $279/ mo. for 24 mo. 1.9% APR for 36 mo. 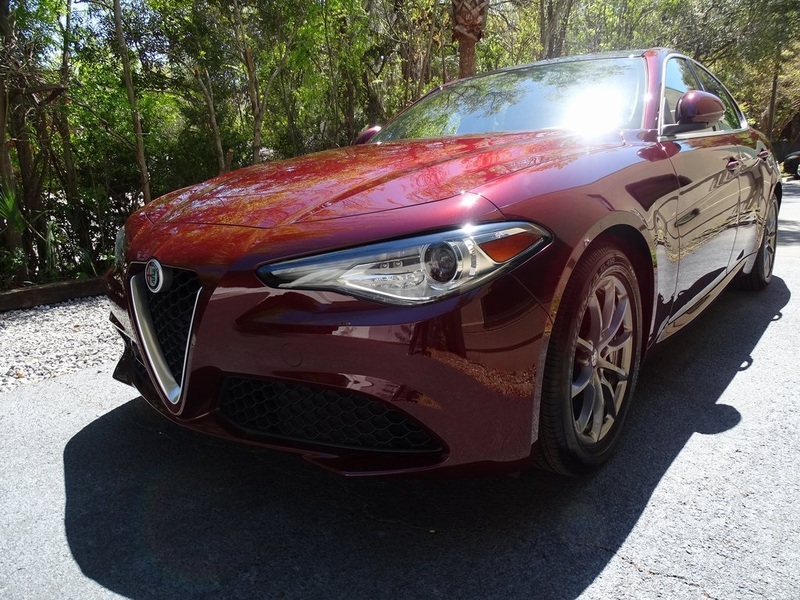 Example lease and APR based on stock# AR1001L (New 2018 Alfa Romeo Giulia Demo with an MSRP of $42,240 and a selling price of $32,240). $279 per month for 24 months for 10,000 miles a year and $3,999 total due at signing OR $418 per month for 36 months for ZERO Down OR 1.9% APR for 36 months with Approved Credit, sales tax is not included. (Includes $277 down payment, $272 first month payment, $500 SC Infrastructure Maintenance Fee, $55 SC Registration Fee and $895 acquisition fee). Advertised price includes $599 Dealer Closing Fee. No Security Deposit required. Available to qualified customers through approved lender through April 30, 2019. Contact Alfa Romeo of Charleston for complete details. Getting behind the wheel of an Alfa Romeo is a unique driving experience. Visit us at Alfa Romeo of Charleston, South Carolina, to take a look at our new cars for sale or to get maintenance performed on your current one. From the Alfa Romeo Stelvio to the Alfa Romeo Giulia or the Alfa Romeo 4C Coupe, our inventory has a vehicle with your name on it. We offer a variety of the latest models, but don’t forget about our used car dealership if you want to expand your search. You can even check out our certified used cars for additional value and peace of mind. If you’re wondering if an Alfa Romeo is right for your budget, pre-apply for a loan through our finance center online form. For everything from oil changes to drivetrain repairs, visit our Alfa Romeo service center, which offers service coupons to help you save. Whether you’re looking to buy, lease, or repair a vehicle, let Alfa Romeo of Charleston be your guide. Contact us with any questions or call our front desk.